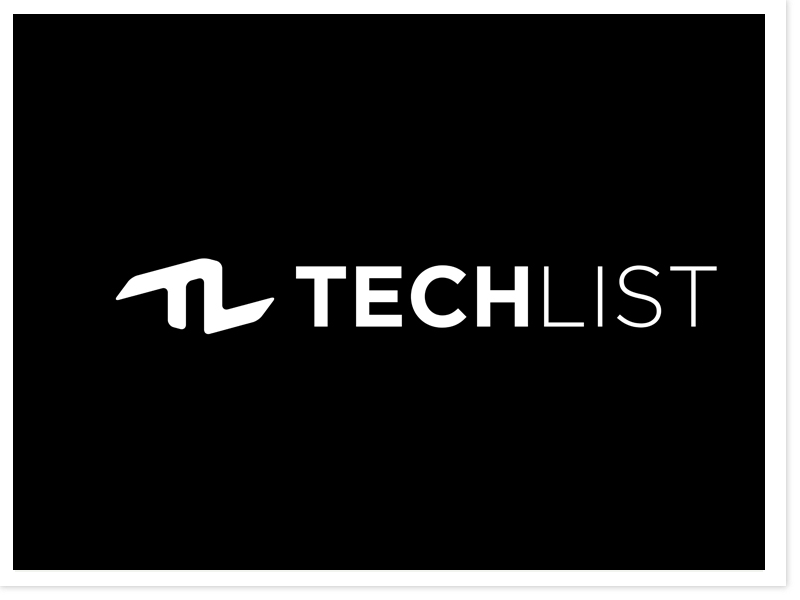 March 22, 2015 - Here’s 10 startups to watch on Techlist. 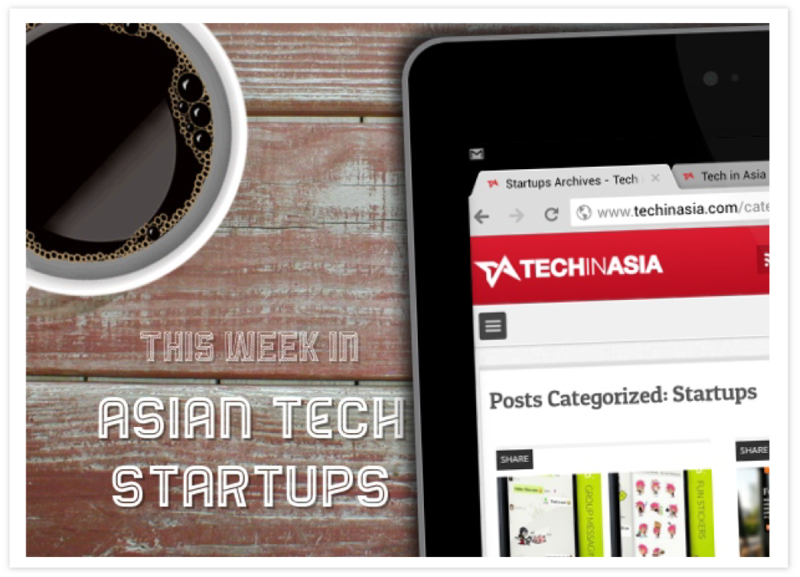 Techlist is currently tracking more than 2,600 startups in Asia and adding hundreds more each week. Enjoy the list. 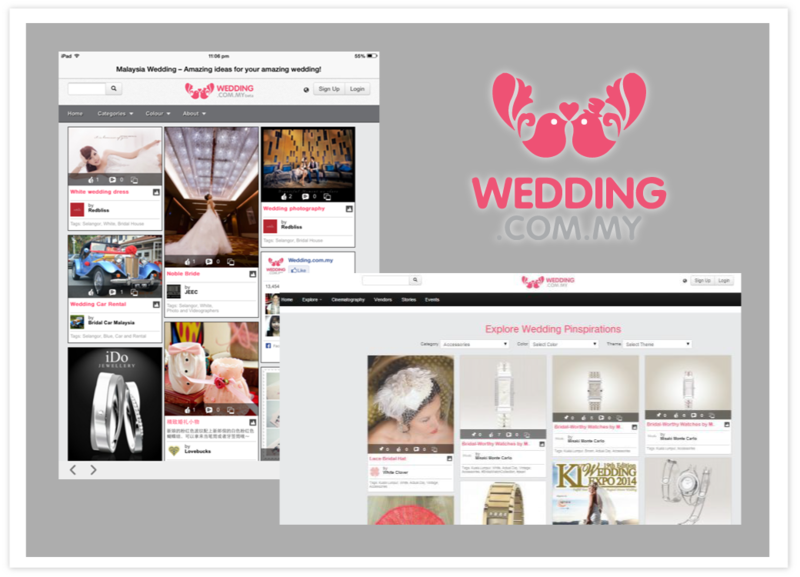 March 9, 2015 - Malaysian online wedding portal Wedding.com.my today announced the raising of MYR 1M (US$274,000) in a seed funding round led by Kathrein Ventures and joined by N Capital Partners and an angel investor. February 28, 2015 - About 34 couples dressed in full bridal regalia took part in the Shark Savers Couple Challenge, to save sharks. 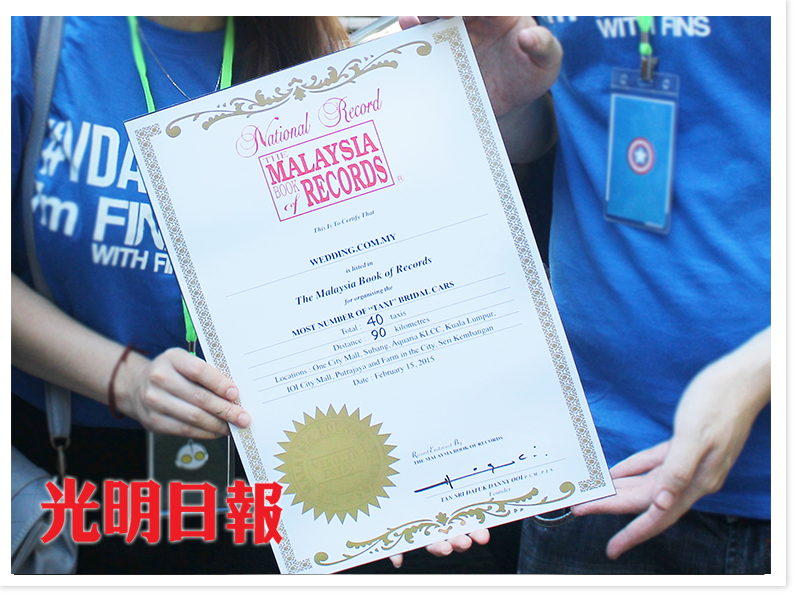 This challenge was part of the awareness campaign “I’m Finished with Fins”, organised by WildAid Shark Savers Malaysia in collaboration with wedding portal Wedding.com.my to encourage Malaysians to swear off shark’s fin soup consumption. 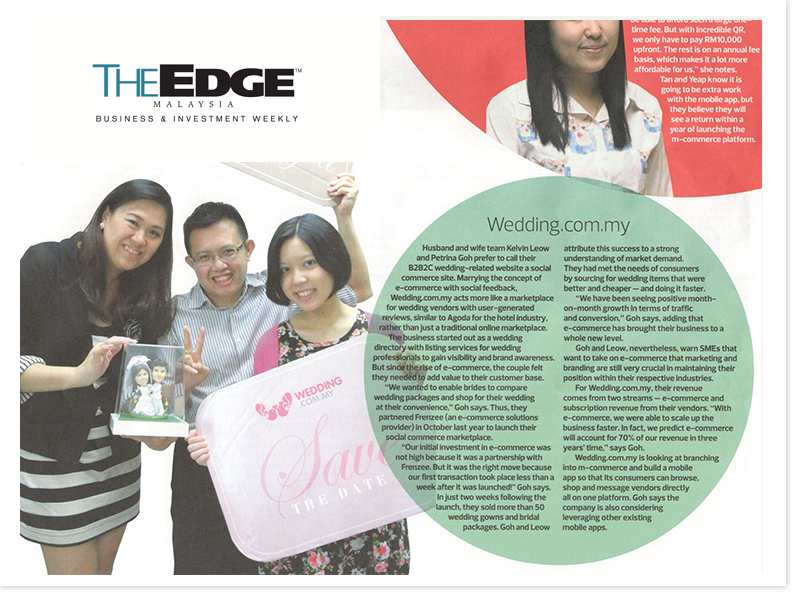 February 23, 2015 - Recently on Valentine’s Day, wedding.com.my and M.I.C.E. 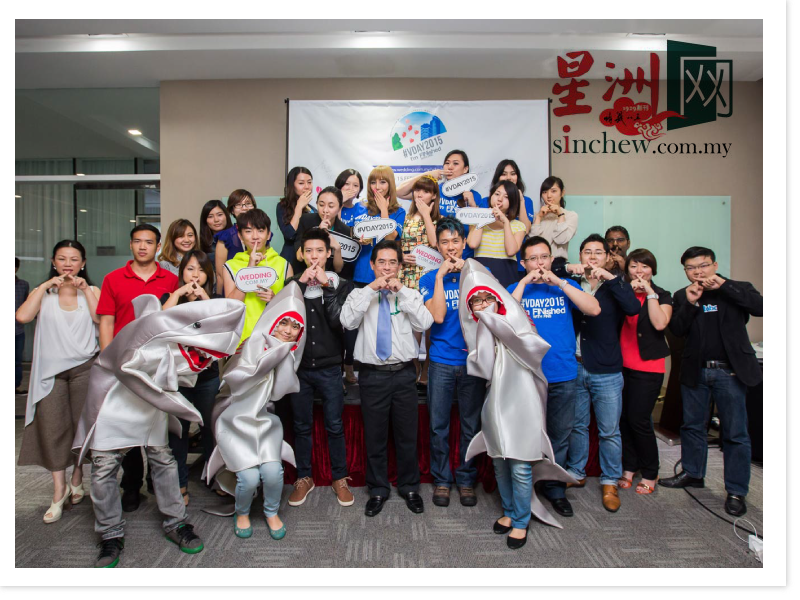 @One City held a green themed celebration with the overlying theme of “I’m FINished with Fins,” in support of raising awareness on the extinction of sharks and the exclusion of sharks fin in wedding banquet menus. 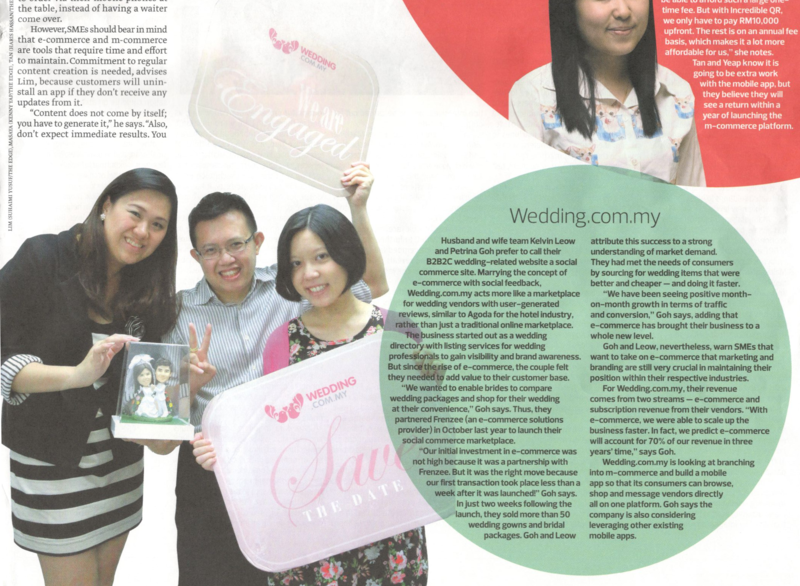 February 09, 2015 - Husband and wife team Kelvin Leow and Petrina Goh prefer to call their B2B2C wedding-related website a social commerce site. 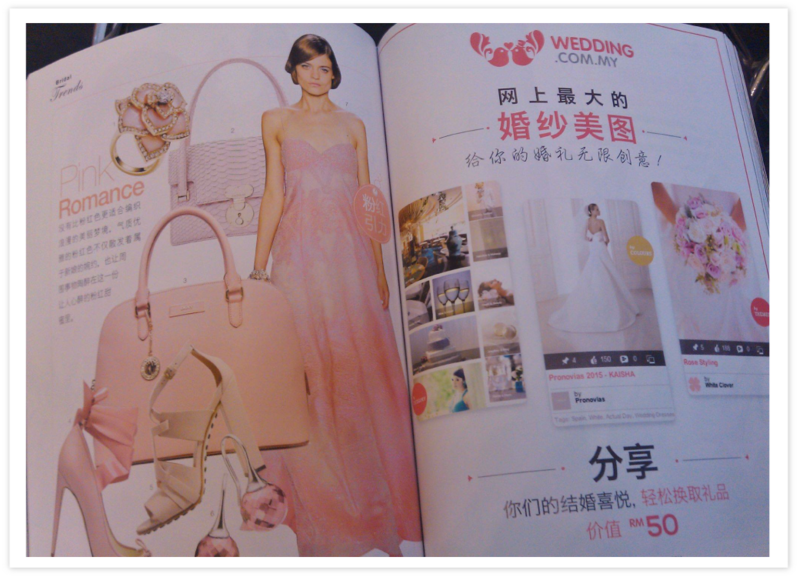 Marrying the concept of e-commerce with social feedback. 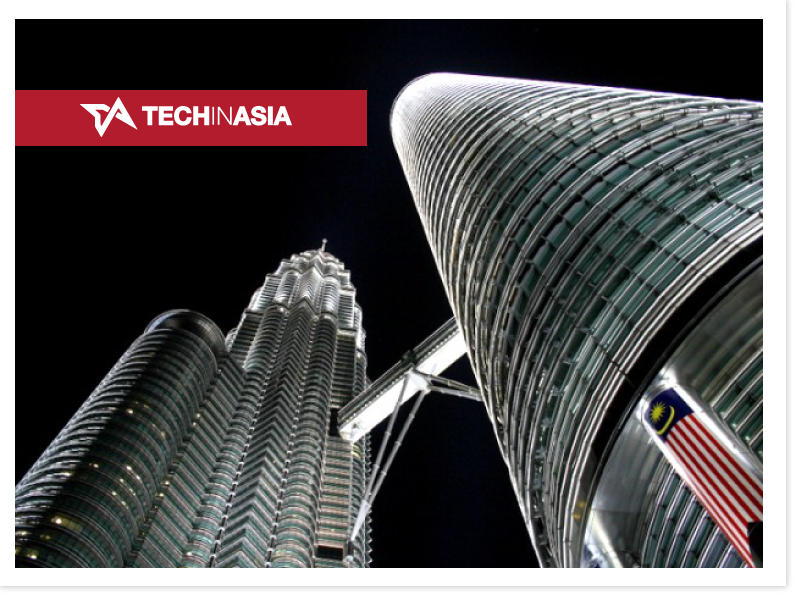 January 2, 2015 - Despite taking two steps backward after a step forward, Malaysian startups have shown their resilience and innovation – several have proven themselves to be a step above the rest, and Tech in Asia has taken note of them. 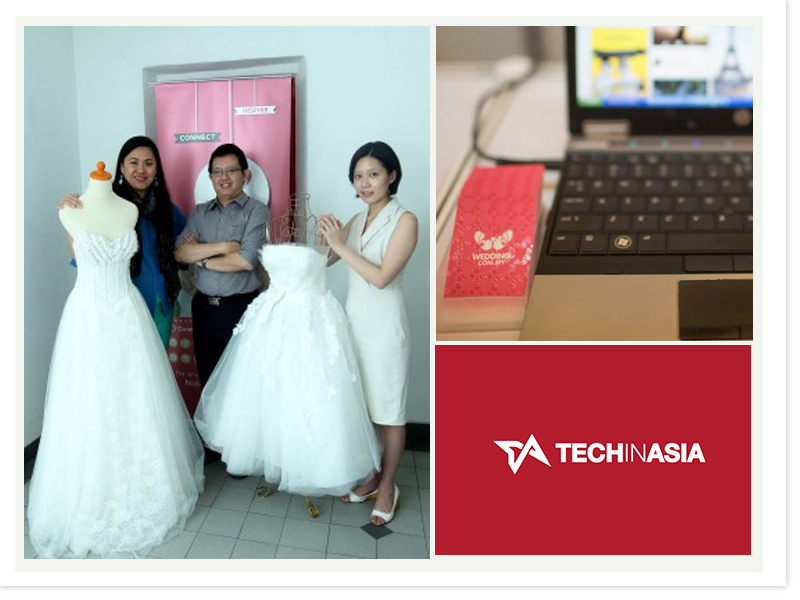 Here are 20 of Malaysia’s finest startups that we expect will make it big in 2015. 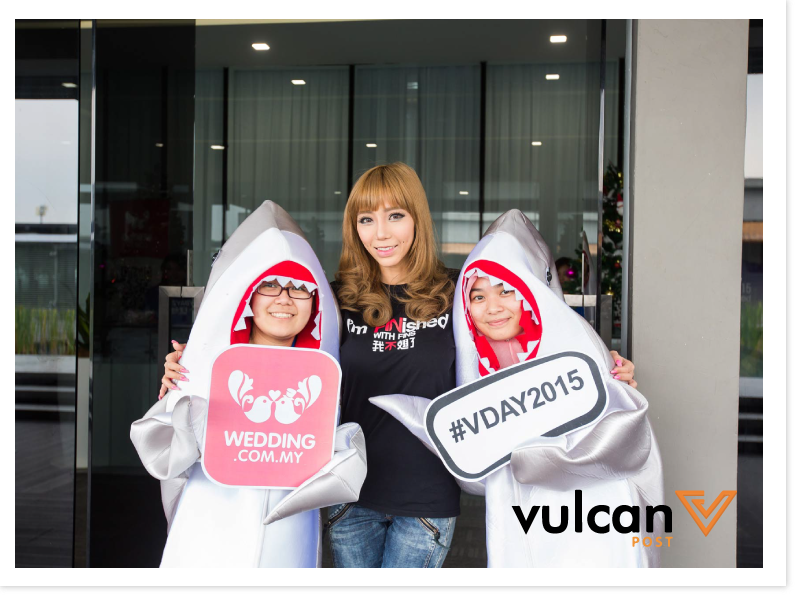 December 23, 2014 - The V-Day Challenge 2015 (#VDAY2015) programme, which aims at creating awareness on the conservation of sharks, will seek to refrain shark-fin soup from being served at wedding dinners. 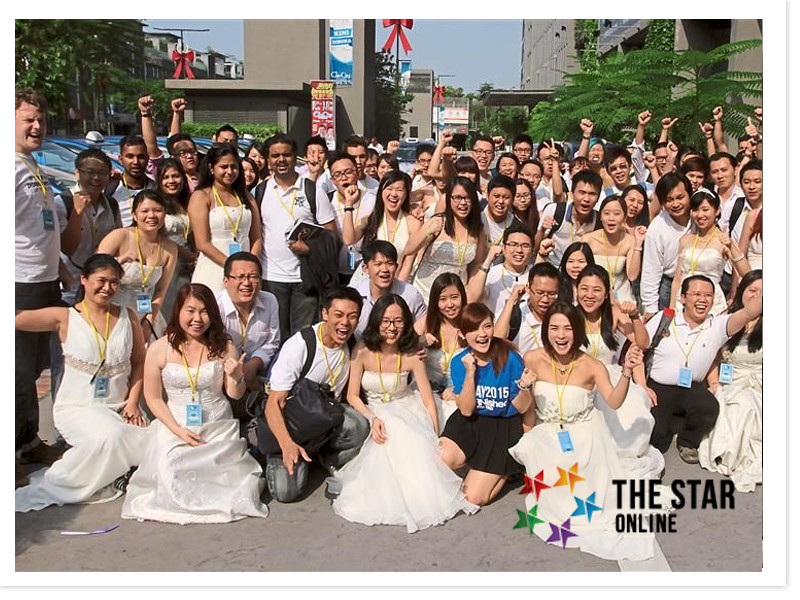 December 23, 2014 - Wedding.com.my aims to raise awareness under their platform to encourage their fans (and over 200,000 members) to not feature shark fin soup at wedding banquets. 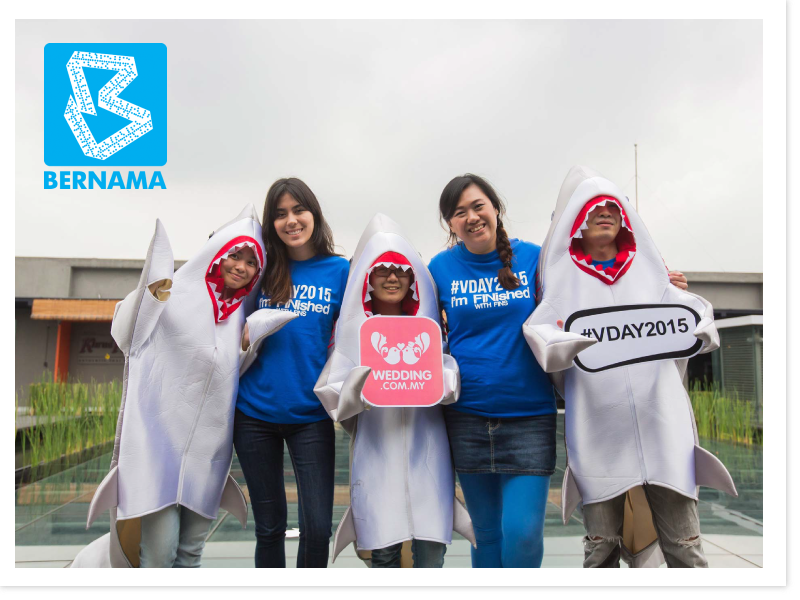 December 22, 2014 - Global Shark Conversation NGO WildAid Shark Savers bekerjasama dengan Wedding.com.my untuk melancarkan V-Day Challenge 2015 (#VDAY2015) yang bertujuan untuk mengatakan “tidak” kepada sup sirip ikan yu. 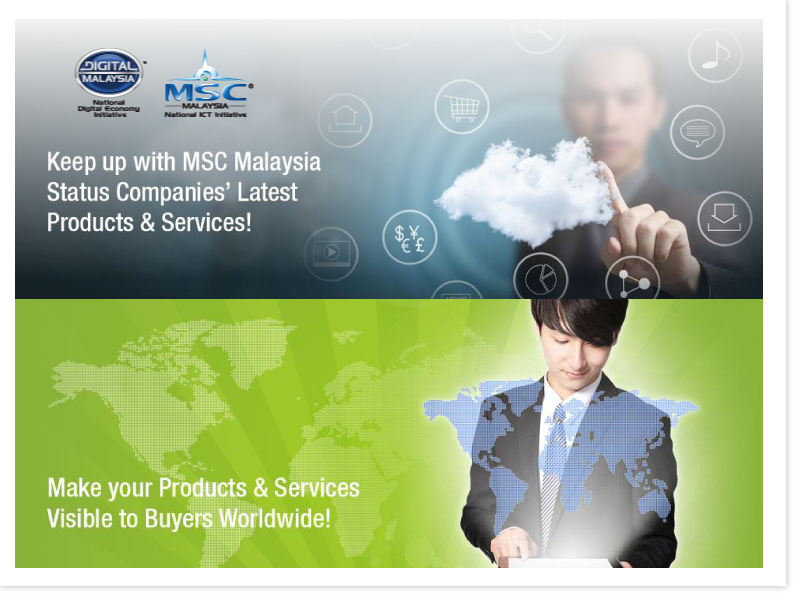 November 17, 2014 - With that in mind, MSC Malaysia company Enlinea Sdn. 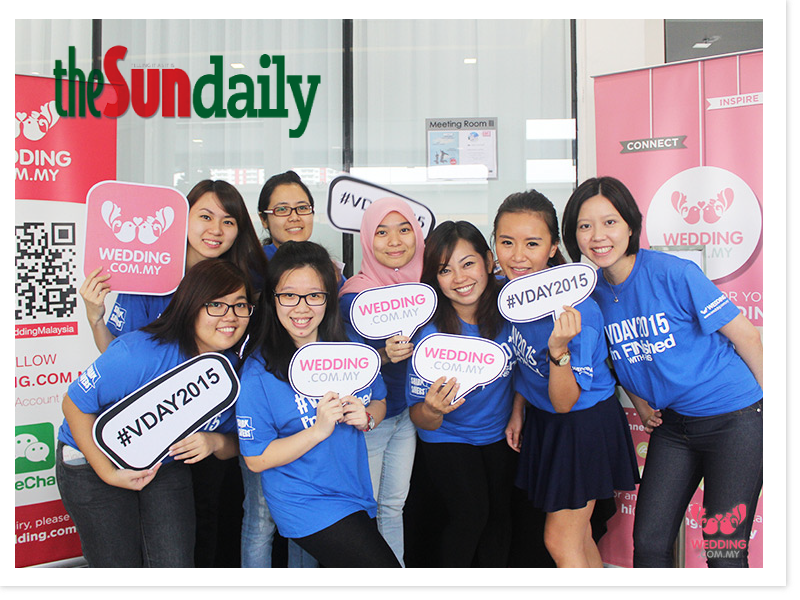 Bhd., aims operate South-East Asia's leading female portals, which cater to the three main stages of women's lives - namely their wedding, young motherhood and family home life. 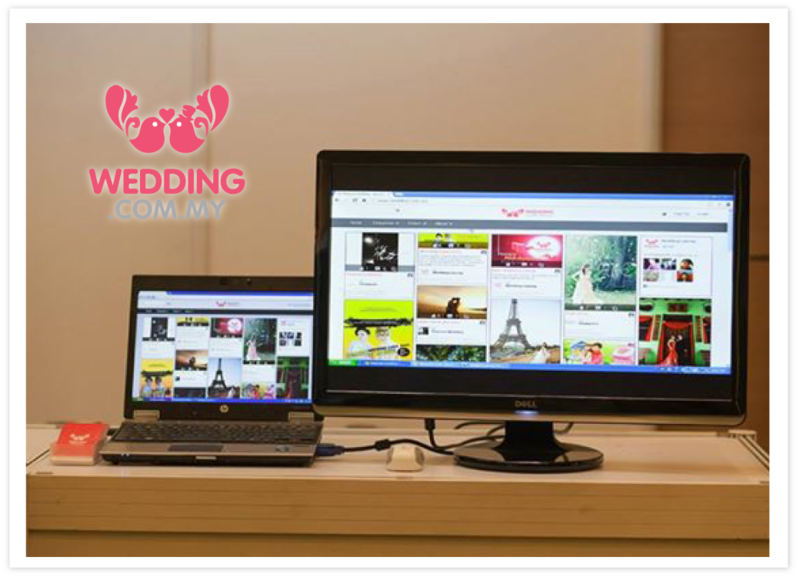 October 22, 2014 - Two websites, one for the working woman and the other started by two men, aim to help couples plan the perfect wedding. 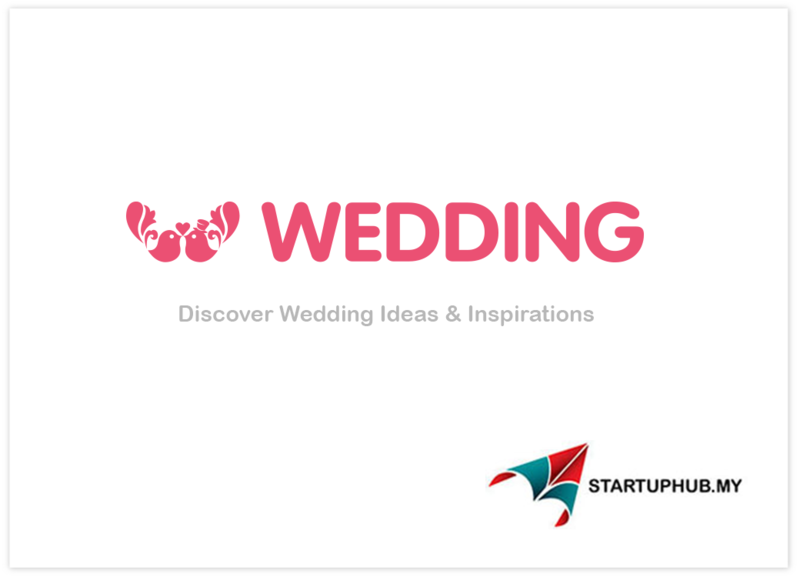 September 23, 2014 - IF you’ve ever wondered how strongly personal developments can influence one’s entrepreneurial journey, just take a look at the team behind Wedding.com.my. 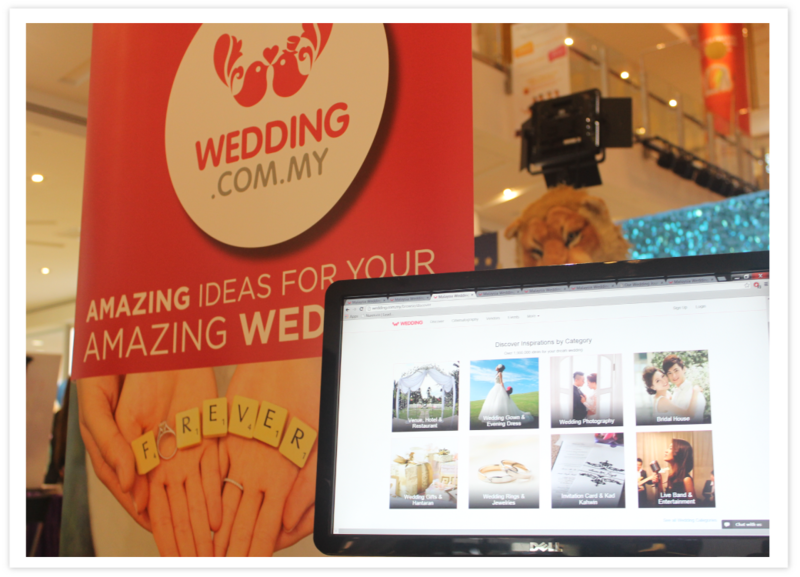 September 5, 2014 - Ideascrunch featured startup today is Wedding.com.my, an ultimate wedding guide to all things relating to weddings in Malaysia. Effortlessly find wedding dresses, hotels, to wedding car rentals and everything you would ever need for your dream wedding! June 29, 2014 - Here’s our newest round-up of the featured startups on our site this week. If you have startup tips or story suggestions, feel free to email us or tell us about your startup on this form. Any juicy tech news tips go here. Enjoy this week’s list! June 27, 2014 - Most people dream of a luxurious and grand wedding involving beautiful decorations, floor length gowns, tuxedos, lovely music, wine and delicious foods. Weddings in real life are costly business. The bride and groom are ready to pay for the best but unfortunately, they do not always get the best even after paying the price. June 25, 2014 - What most don’t realize is the ugly underbelly of the wedding industry, where vendors all too often conjure up ways to make unwitting couples cough up as much cash as possible. 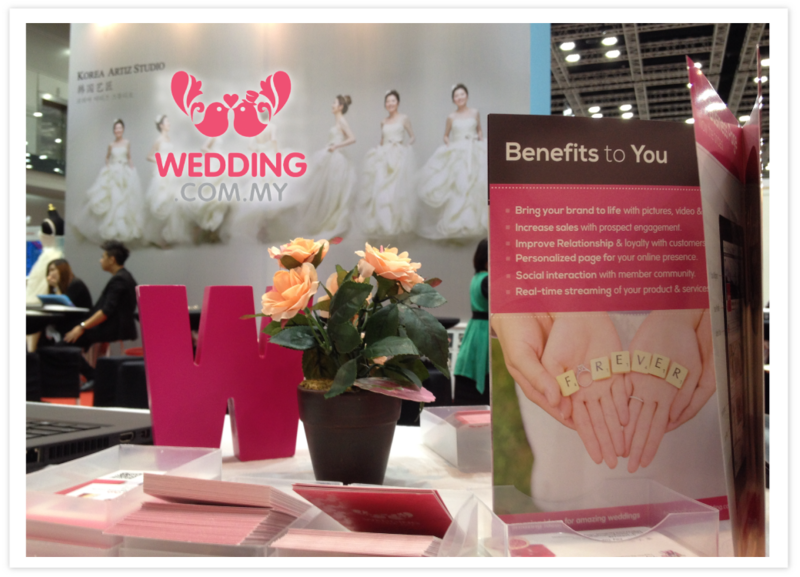 And it is by no means a small amount of cash – weddings make up an impressive MYR$7 billion (US$2.2 billion) industry in Malaysia. 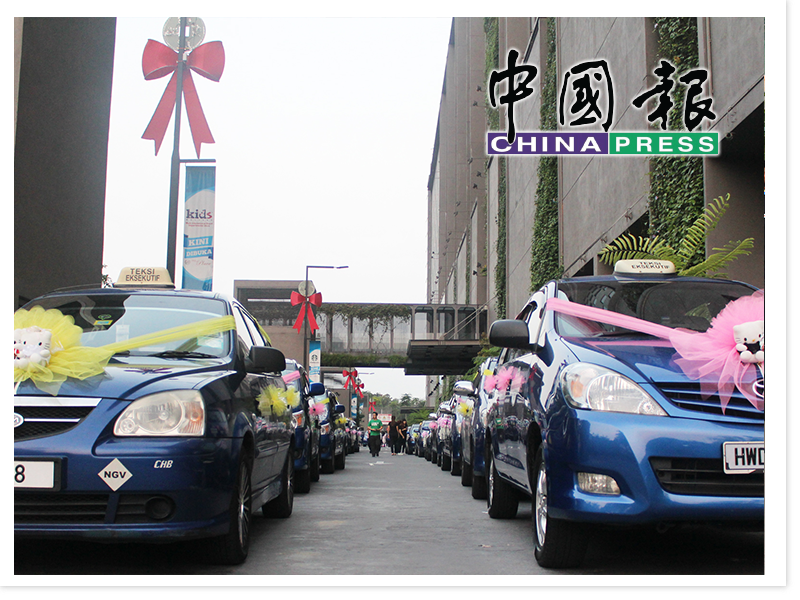 May 23, 2014 - A marriage ceremony is a big thing, and the definition of “big” here is synonymous to a grand affair with stages often resulting in months of planning and days of celebration. While there are two spectrums of this ceremony, from the private church gathering to the huge private island celebration, the planning that goes on behind every successful love story is nothing to sneeze at. 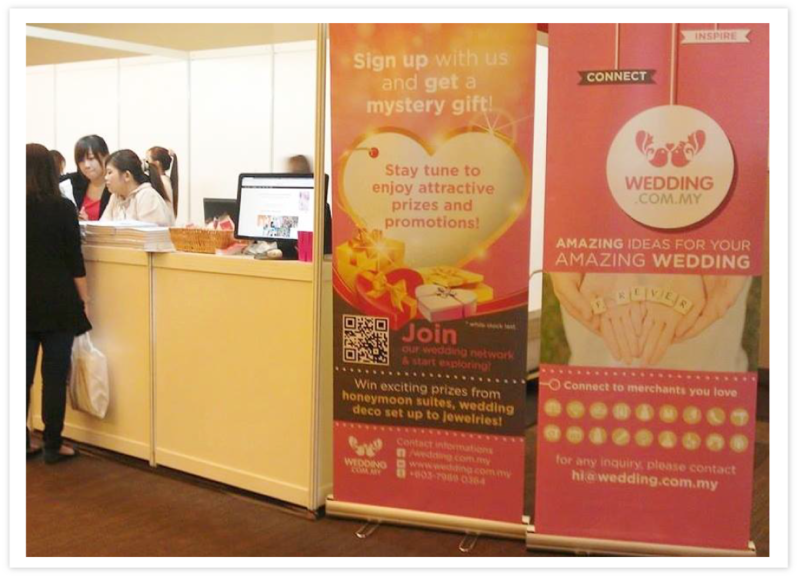 April 24, 2014 - Organised by Harenet Communications Sdn Bhd, the wedding expo which is held every quarter, features a comprehensive range of wedding packages on offer both locally and abroad at special discounted prices to suit the budget of couples intending to exchange marital vows. February 20, 2014 - Laman sesawang Wedding.com.my melancarkan enjin carian visual bagi membantu pasangan merancang majlis perkahwinan mereka dalam talian. 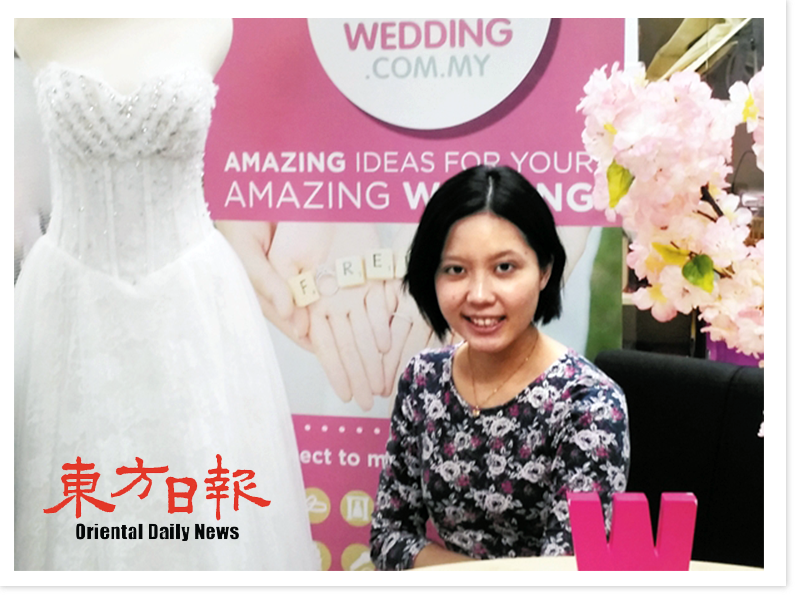 Pengasas bersama Wedding.com.my Petrina Goh berkata laman sesawang itu direka bagi memperkasa dan membantu pengantin perempuan mengadakan majlis perkahwinan paling sempurna bagi mereka. 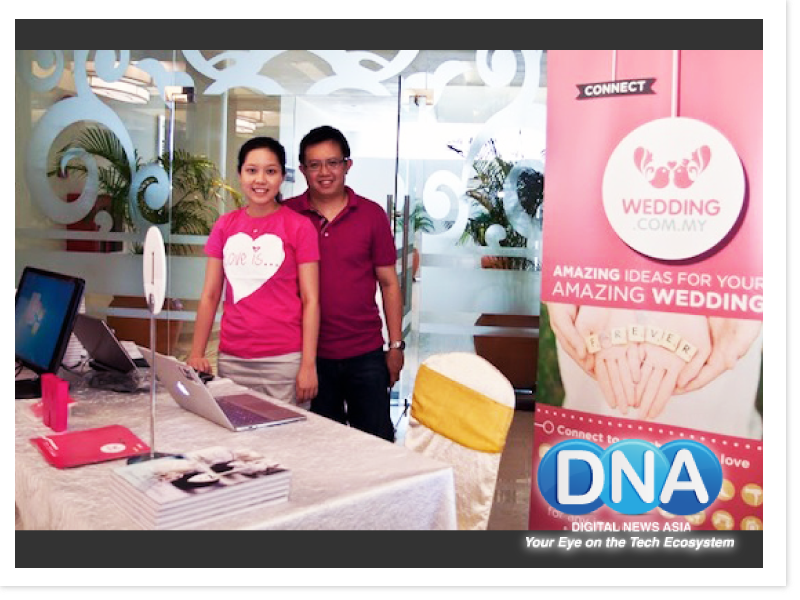 February 20, 2014 - Wedding.com.my launched its popular visual search engine to help couples plan their wedding online. 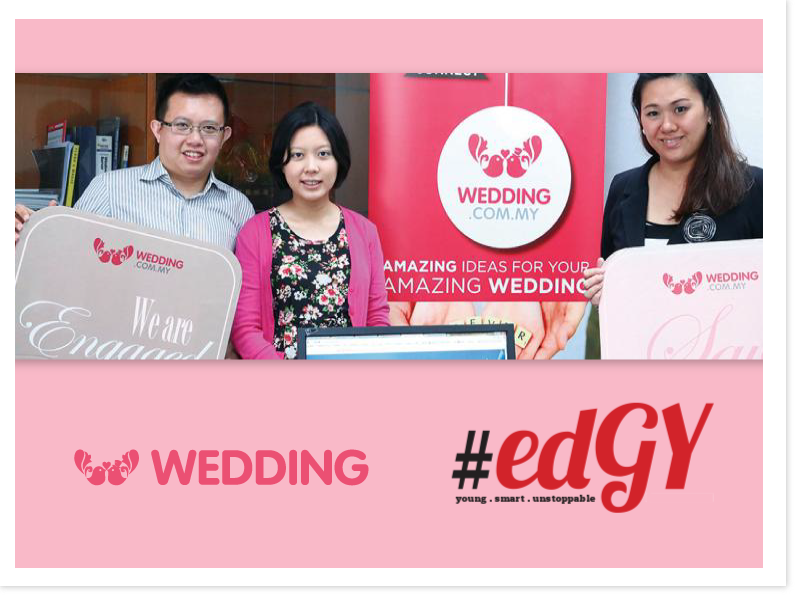 Co-founder of Wedding.com.my Petrina Goh said that Wedding.com.my is designed to empower and help the modern on-the-go bride in her search for the perfect wedding based on themes, colours, trending and vendors. 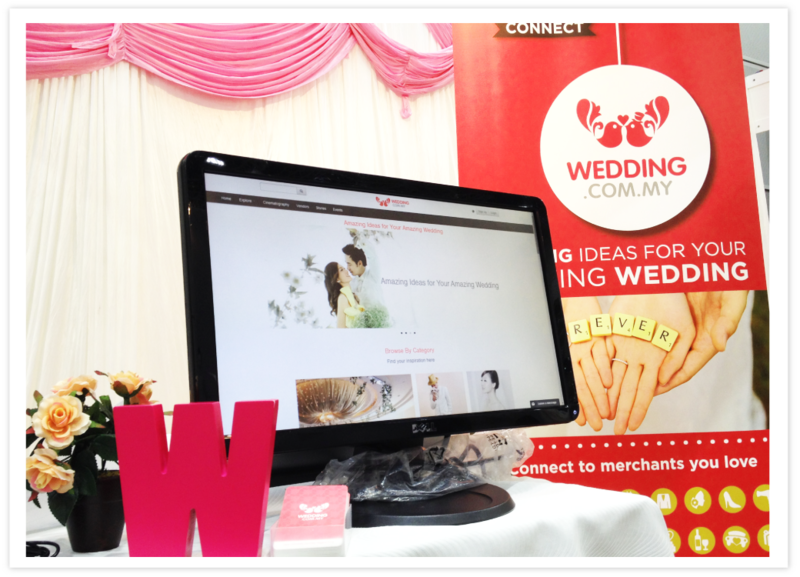 December 01, 2013 - Wedding.com.my is the #1 wedding network in Malaysia to search for wedspiration and ideas for wedding planning. 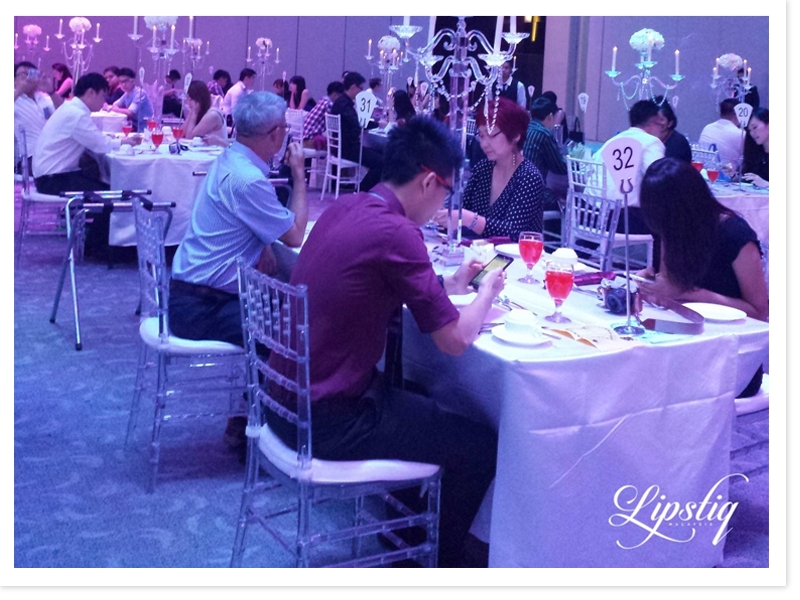 We offer couples a fun and inspiring experience to personalize and plan their wedding effectively.